Focus on your child’s growth! Engineered and refined by our Grand Masters over a lifetime of experience with Martial Arts Instruction, our Youth Program is second-to-none in its ability to bring out the best in any child. 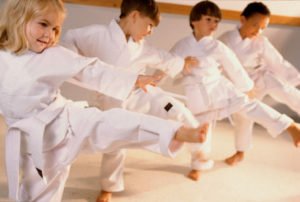 Through our positive motivational techniques and in our non-competitive environment, our Youth Students are instilled with all of the best qualities of respect, self-confidence, and self-discipline that Martial Arts training has to offer. Combined with a highly active exercise component, our Youth Classes will help your child remain happy and healthy within a safe and positive environment suitable for ages 4 to 12. Book our web-exclusive trial offer today!